How to draw portrait with charcoal. 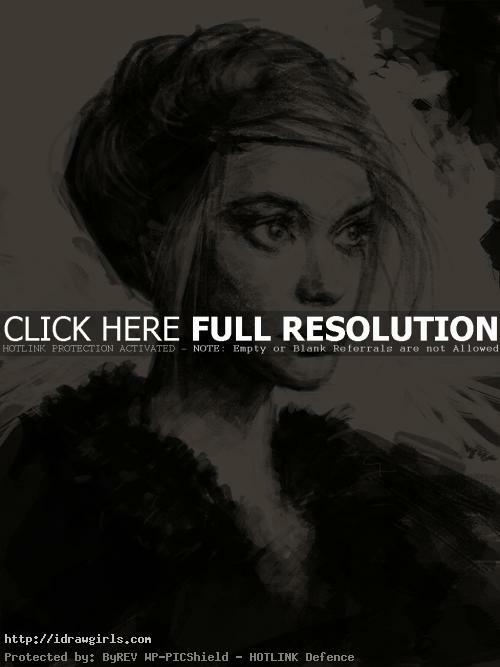 Learn to draw female portrait using charcoal or chalk custom brush in Photoshop. 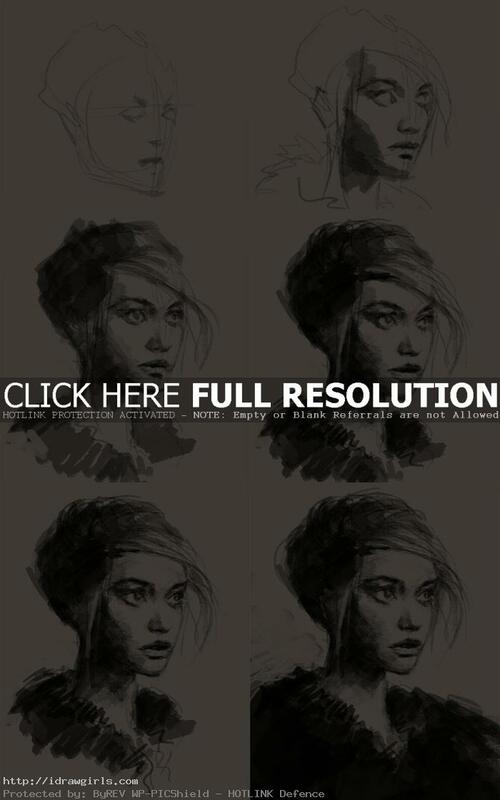 In this tutorial, you will learn how to draw female face step by step using Photoshop custom brush which has similar property to drawing with charcoal. This will also show you basic construction of a portrait drawing like some of our basic tutorials on portrait. I was doing some portrait study and do step by step for the blog because I had no idea what to do at the moment. Yes, lack of inspiration happens from time to time especially when you leave you pencil and pen for a while. So I was sketching until it almost complete then I looked at it and I was like…um I could actually turn it into something else. So first idea I had was I could put really dark over coat on her and then…a knife in her hand. I can make her an assassin! But then I thought I always do that let’s change the course a bit this time. Something I don’t usually do. Then I had an idea of a garden surrounded her present and… while I was painting a camouflage or silhouette of tree branches and bushes I got an idea. Snake came to my mind. Then I totally get in the feeling of the piece. Eden, snake, apple and eventually the word “seduction” in the conclusion. Anyway, here are the step by step for the work in process and the final piece I have so far. Still have to paint for a few more sessions. Below are step by step how to draw portrait with charcoal. Step one, I sketch out proportion of a realistic face. If you are new please go watch how to draw face, it will show you all the layout and correct measure for basic realistic face. Step two, I use charcoal stick gliding on the side to create basic shadow on the side of the face and some on her eye’s sockets. We usually called this step blocking in. Step three, I fill in black area on her hair, under her jaw, and some on her collar. Step four, then I went in on small area for dark shadow around her eye lashes, under her nose, and upper lip. Step five, some more additional detail on delicate area that need to be darken more. Step six, finally I can simplify the overall shape using hard and soft edge and we are done.